Fabio Cannavaro was the unlikely hero who united a country. Born at a small 5 feet and 9 inches, overcame obstacles to become one of the best defenders in the history of the game. Add a further World Cup to his many accolades and you have a true legend in the shape of Cannavaro. His impenetrable performances earned him the nickname ‘Muro di Berlino’ – the Berlin Wall. He was impeccable when it came to breaking attacks and perfect in terms of anticipation and solid in the field. The Italian led his country to the 2006 FIFA World Cup victory and cemented his status as a legendary player. It comes as a surprise that a young Cannavaro went from being a ball boy watching legends play to being a legend himself one day. After retirement he became a coach for Al-Ahli and now works as a manager for the Chinese Club Tianjin Quanjian. Fabio Cannavaro was born in 1973 in Naples, Italy to a father who worked as a bank clerk and his mother who worked as a maid. Growing up Cannavaro was surrounded by soccer, from watching Italy lift the World Cup in 1982 as a boy to playing in the streets. Initially when Cannavaro first arrived in Napoli, he was the ball boy which meant that he got to see legends training in the soccer field. However once he joined the youth team as a young teenager, he played as a midfielder and later after being told by one of the directors he changed his position. It was during his time at Napoli that the tanager was spotted by legend Maradona who predicted that Cannavaro would go on to become one of the best defenders in the world. Cannavaro soon shifted to the Parma side where he won four trophies. In 2002, he signed for Inter Milan and two seasons later Fabio Capello took him to Juventus. Cannavaro has also achieved success with the Italian national team; he was part of the Italy team that won consecutive U-21 European Championships in 1994 and 1996. After earning his first senior cap in 1997, he helped his national team to the final of the Euro 2000 being named to the team of the tournament, and eventually became the captain in 2002. Cannavaro led Italy to victory in the 2006 FIFA World Cup in Germany. In 2009 Cannavaro overtook Maldini as Italy’s most capped player. Cannavaro was named the 2006 FIFA World Player of the Year. He won the Ballon d’Or the same year. He was also awarded the Silver Ball for being the tournament’s second best player. The World Soccer magazine named him as the Player of the Year in 2006. 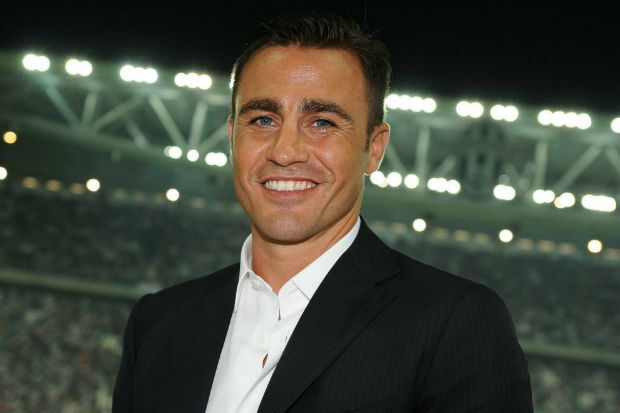 In 2014 Cannavaro was inducted into the Italian Football Hal of Fame. In 2006 he was named European Footballer of the Year—the first Italian so honoured since 1993 and the third defender ever to claim that distinction.